You can subscribe to Team Calendars from your phone or tablet using the built-in Google Calendar on Android devices. Two-way sync (CalDAV) - allows you to view and update Team Calendars events in Google Calendar. Requires Team Calendars 6.0 or later, and a CalDav synchronization app. One-way sync (iCal) - allows you to view, but not update, Team Calendars events in Google Calendar. Two-way synchronization allows you to view and update Team Calendars events in Google Calendar on Android. It requires Team Calendars 6.0 or later and a CalDav synchronization app. 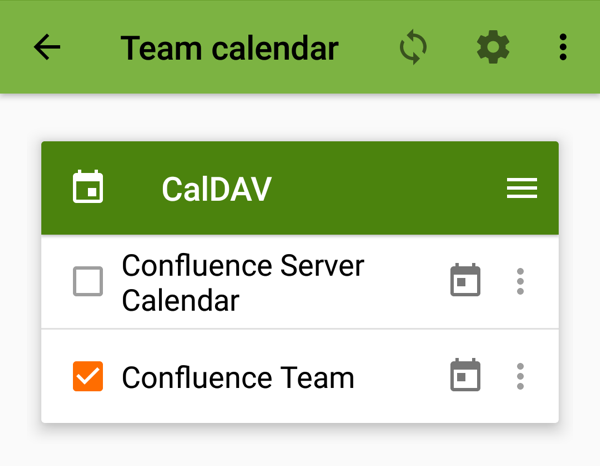 We've tested Team Calendars with DAVdroid, an open source app which is available from the Play Store (paid) or via F-Droid (free). These instructions are for Android 7.0 Nougat, with DAVdroid 1.10. Your version may differ slightly. Before you begin install a CalDAV synchronization app for Android. We used DAVdroid which you can install from the Play Store (paid) or via F-Droid (free). Other plugins may be available. Select Google Calendar (Android) from the Calendar app dropdown. Because DAVdroid supports calendar discovery, this will be your Confluence URL, not the URL of an individual calendar. You'll be able to choose which calendars (that you've added to My Calendars) to sync in the app. In DAVdroid, go to Add account > Login with URL and user name. Enter the Confluence URL you copied earlier. 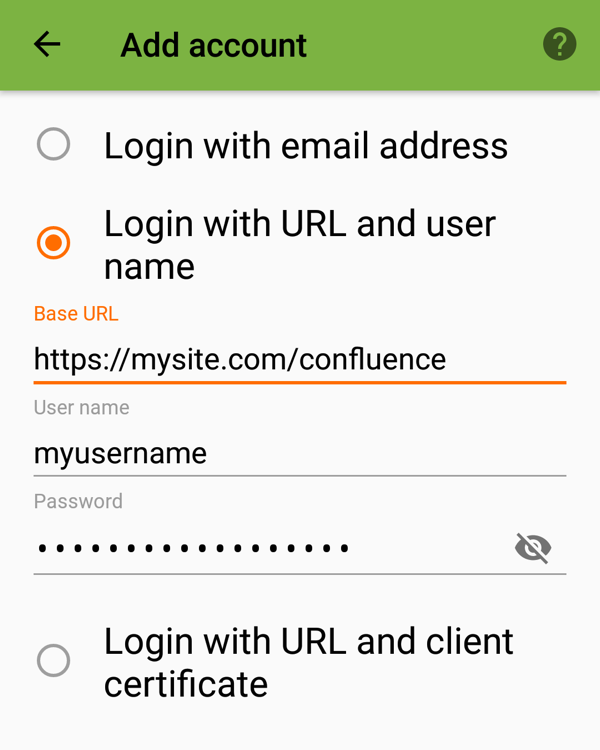 Enter your Confluence username and password. Follow the prompts to name your account. Select the calendars you want to display in the Android Calendar app. Open the Calendar app on your device. Your Team Calendars will be listed under the account name. You can't subscribe to an iCal calendar directly on your device. Instead you will need to Subscribe to Team Calendars from Google Calendar in your browser. Events from your Team Calendar will then be visible in the Android calendar app automatically.